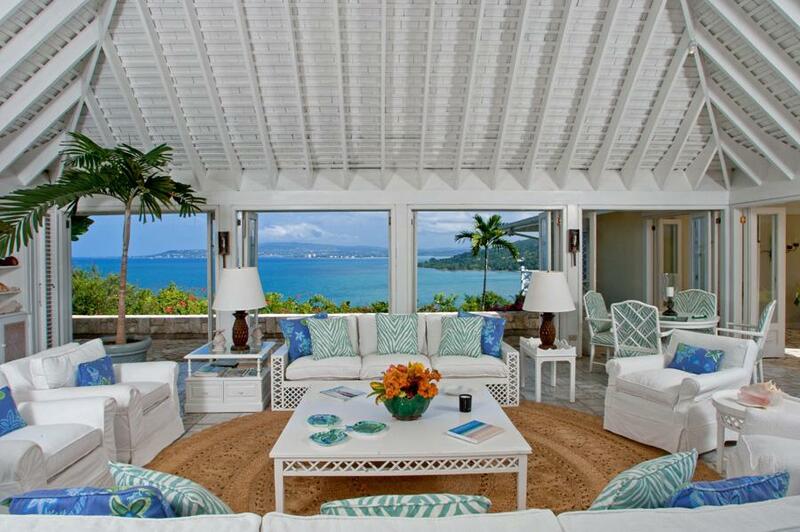 Unique to this villa is the complimentary Round Hill Resort Membership. 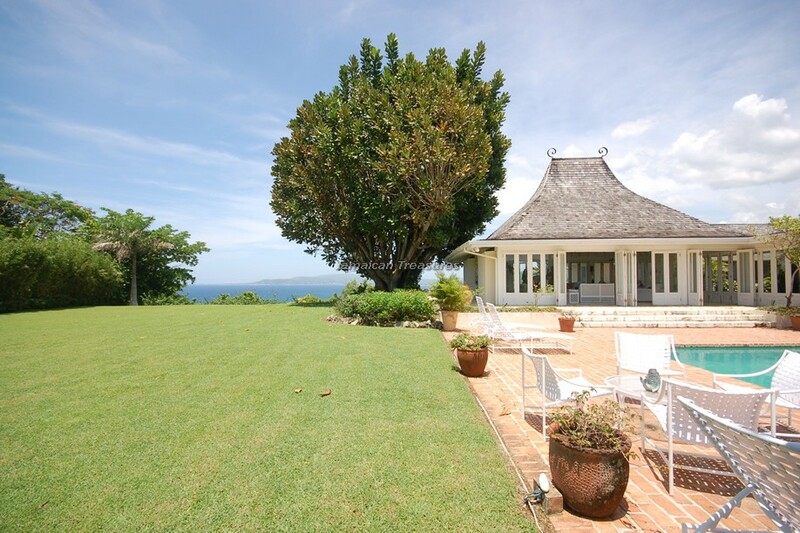 5 minutes drive to the Round Hill beach! 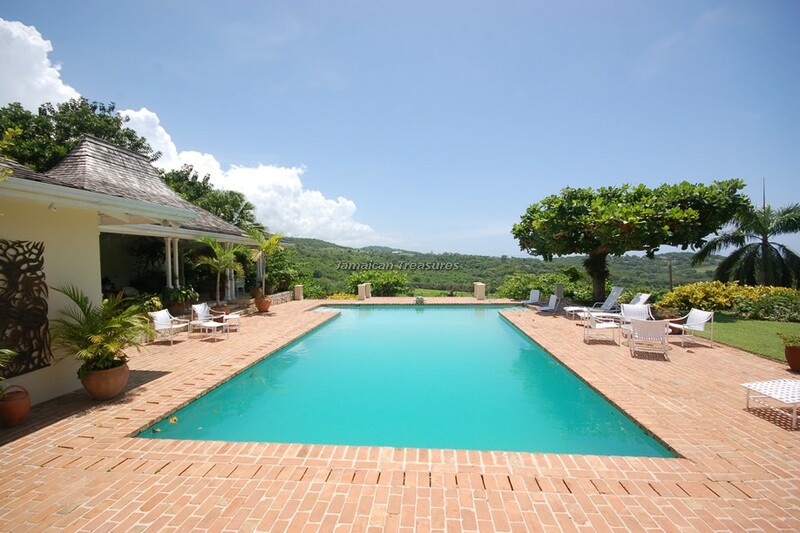 Windsong Villa is one of the most beautiful luxury villas Jamaica, located splendidly on three acres of lush green landscape. 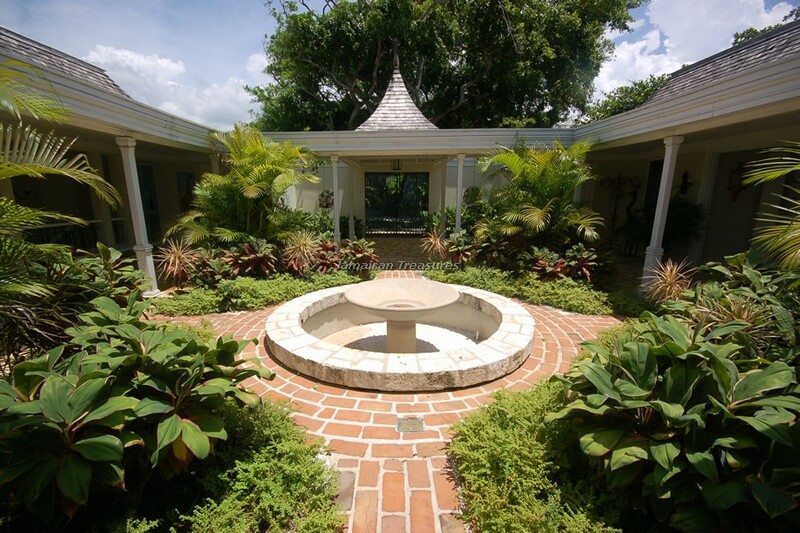 A fantastic courtyard, divine fountains and a beautifully landscaped lawn, form a lovely indoor garden. 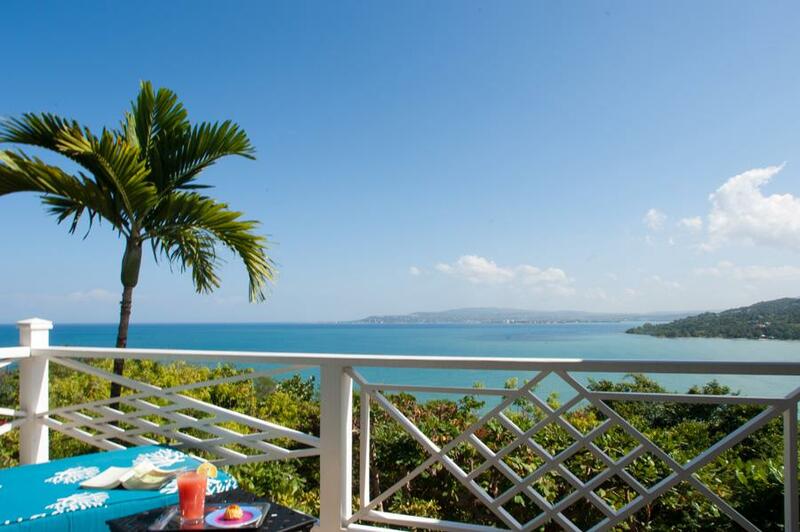 The pool side of this fabulous Jamaica villa offers spectacular views of the sparkling Caribbean Sea and the most perfect sunsets. 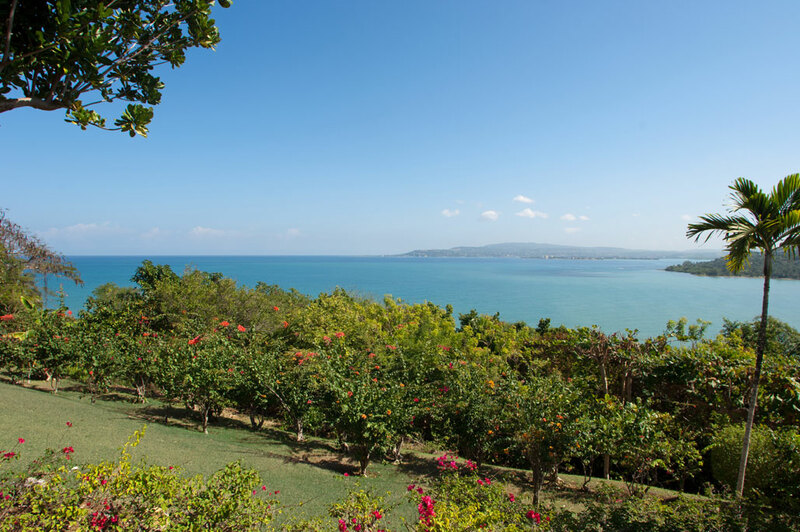 Windsong Villa’s elevated location provides breathtaking views of the Montego Bay area and the renowned Round Hill Resort during the day, and even more magnificent ones at night when twinkling lights can be viewed from afar. 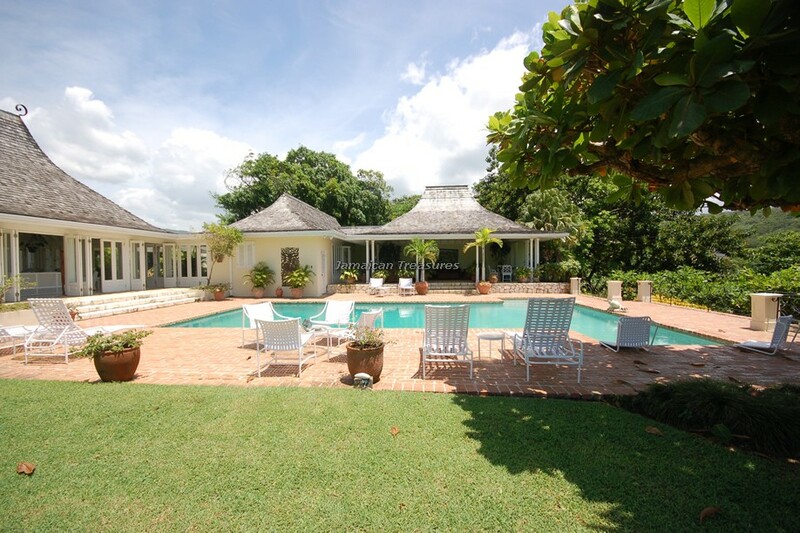 A wonderful assortment of local trees, including the breadfruit, avocado, ackee, coconut, papaya trees and several others make the gardens at Windsong Villa a delight. 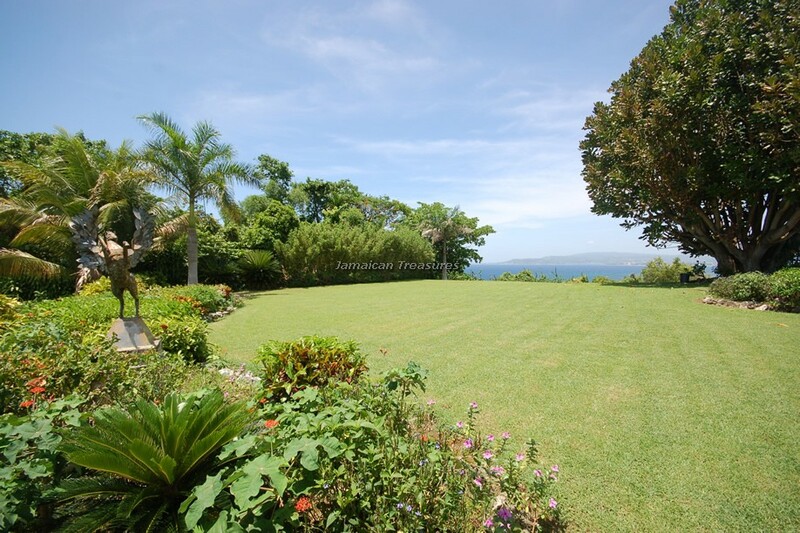 Plants and colorful shrubs like bougainvillea and hibiscus make the gardens more vibrant. 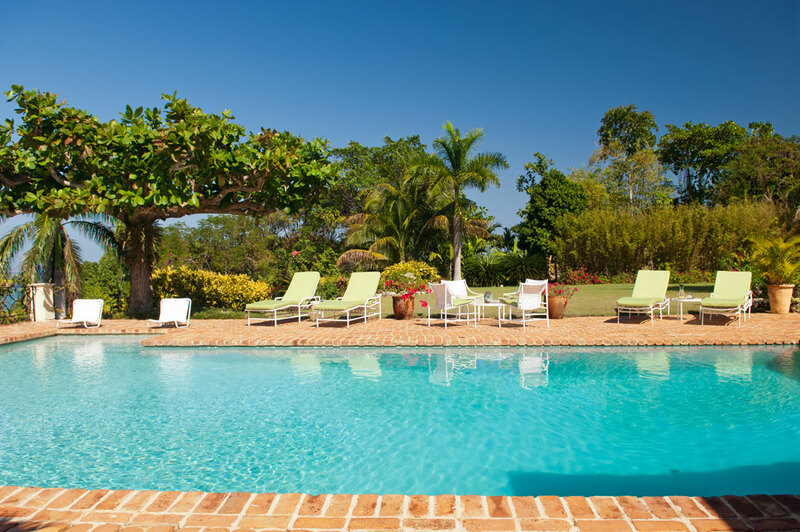 The expansive gardens are very well-maintained and wonderful stone walkways and water features add further beauty to them. 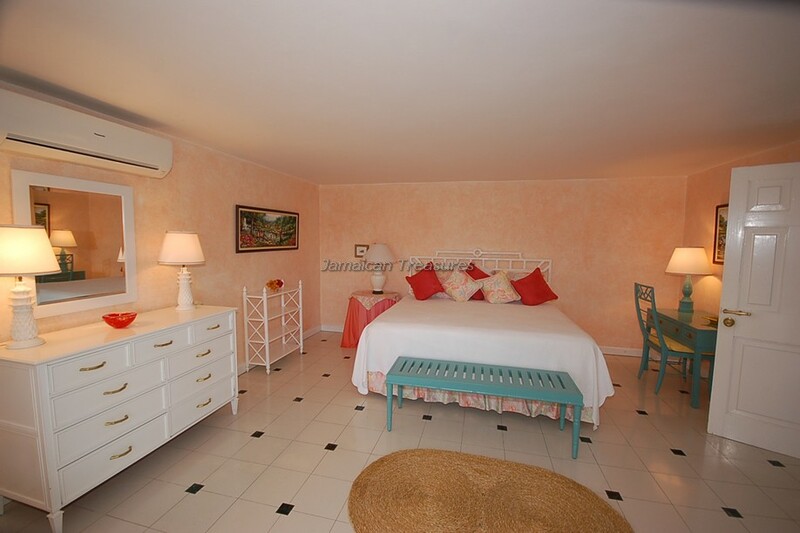 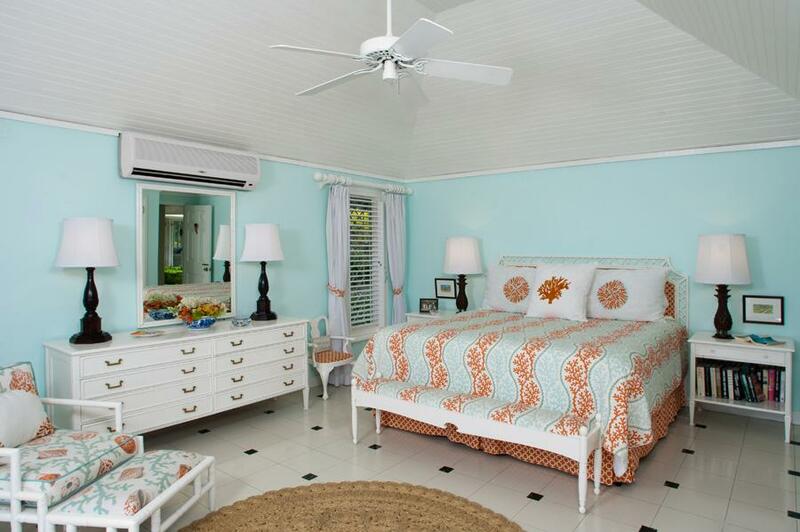 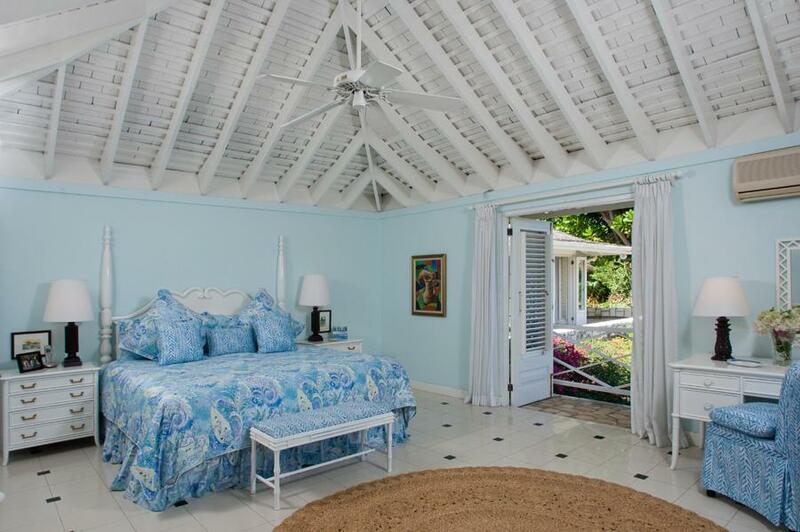 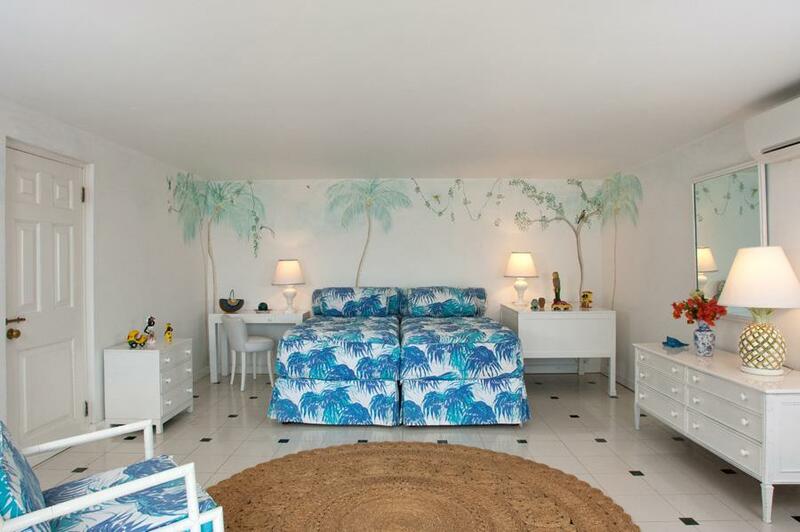 The four bedrooms at Windsong Villa are very spacious and luxurious and are furnished with king-sized or twin beds. 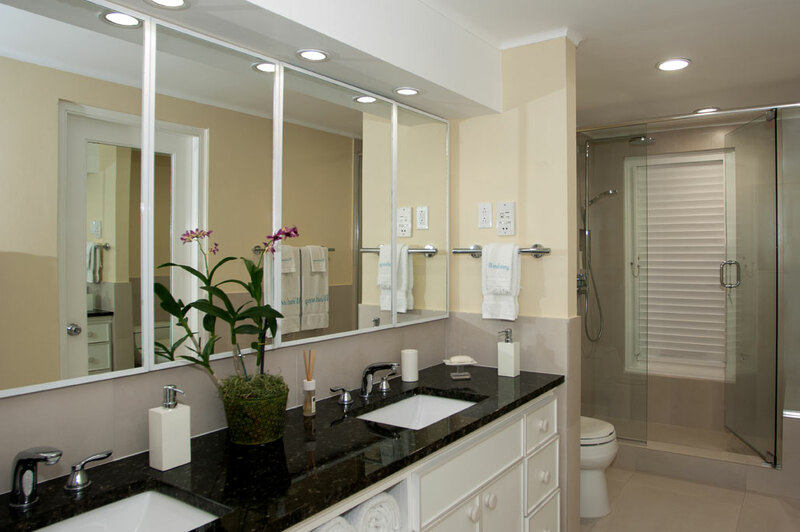 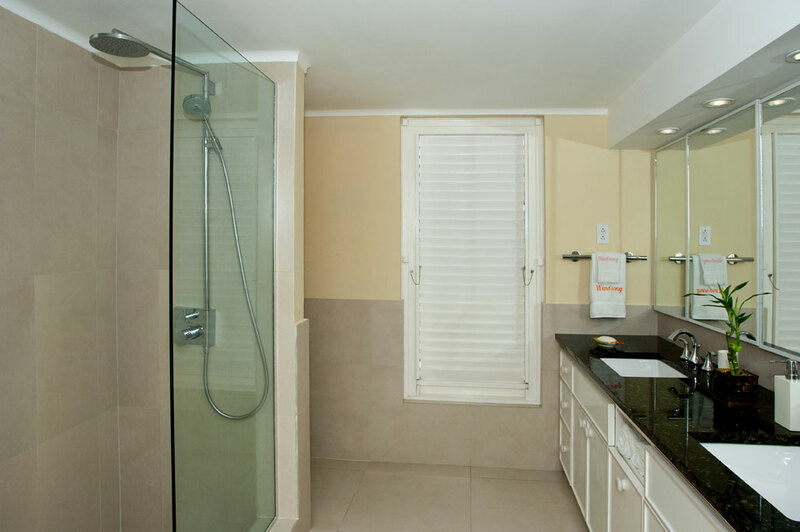 They are air-conditioned and offer en suite bathrooms. The interiors at Windsong Villa have been furnished very tastefully with elegant designs and beautiful coordination. 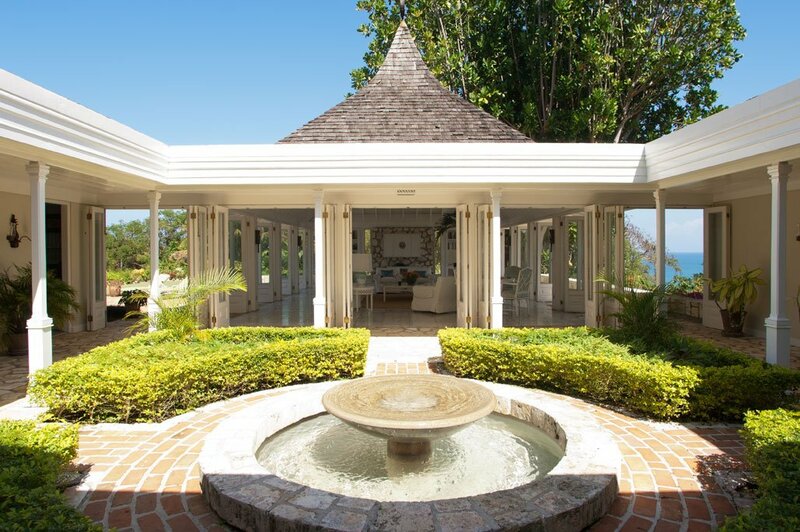 Unique sculptures and exquisite art pieces from the owner’s private collection beautify the villa. 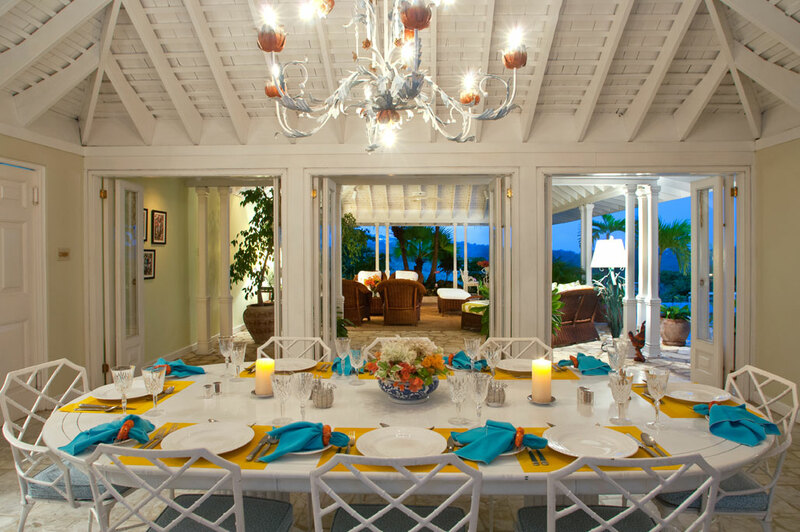 Meals are served alfresco on the veranda overlooking the lovely pool area and the picturesque Caribbean Sea on Wedgewood, French porcelain or Italian bone china. 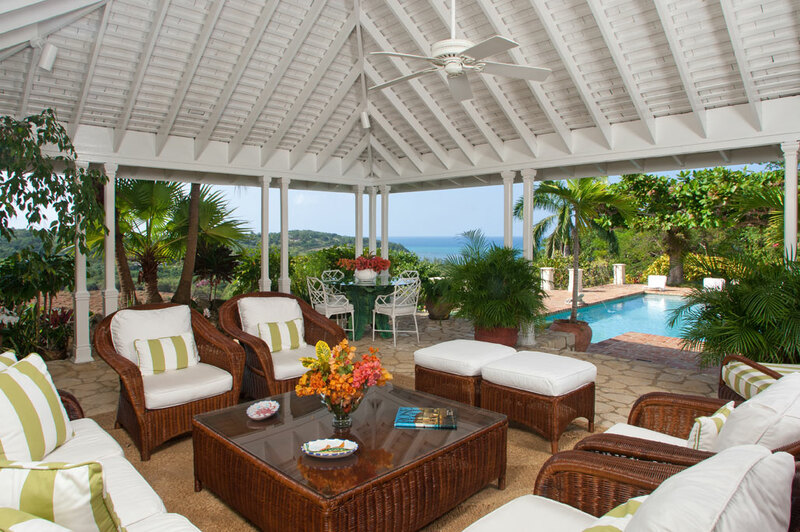 Windsong Villa also features a very spacious Great Room with 22 glass doors that open in a spectacular manner to views of the pool terrace and the wonderful ocean. 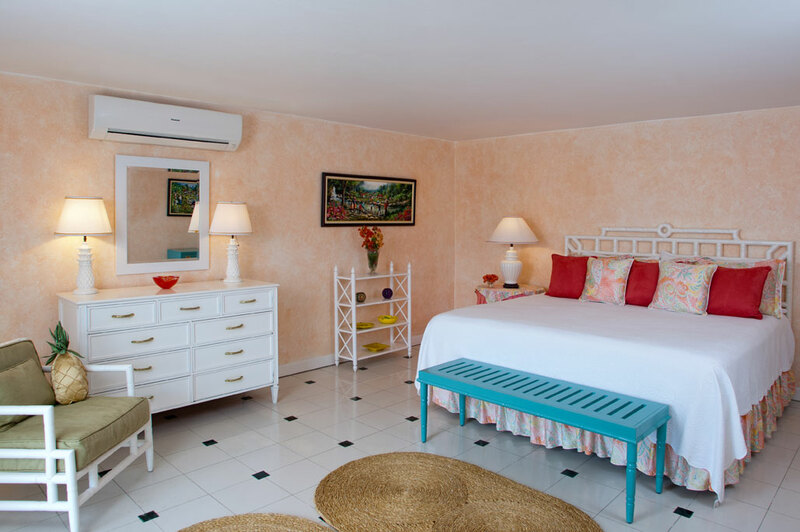 The living room is also equipped with a 32” television with Direct TV, DVD player, an extensive library of DVDs and music CDs and a stereo sound system. 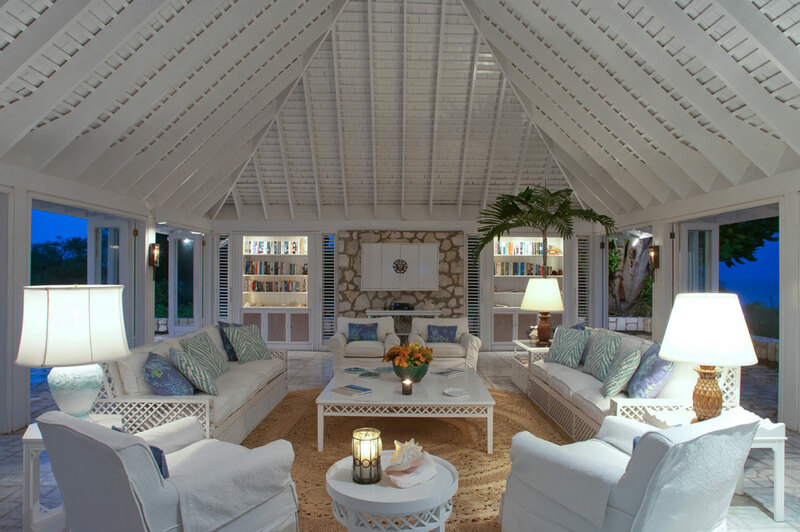 The music can be enjoyed all through the indoor and outdoor living areas. 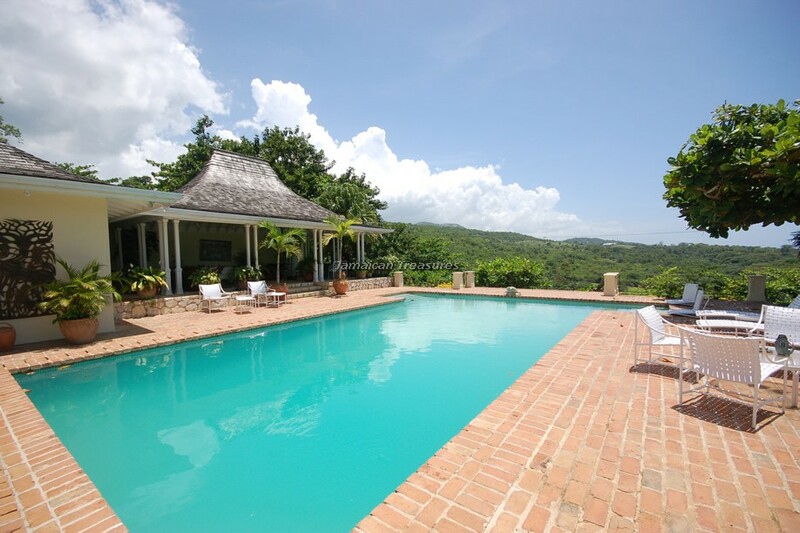 High-speed DSL Internet access is available all through the villa. 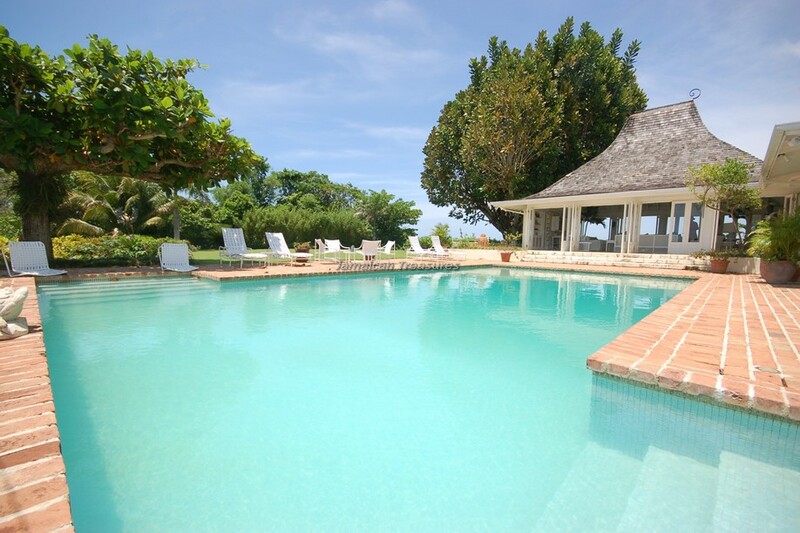 The expansive swimming pool at Windsong Villa has a conveniently located poolside bar. 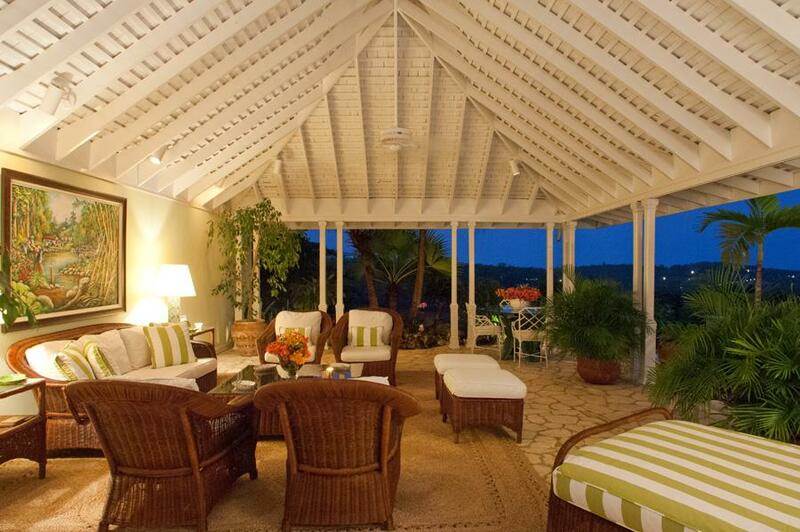 A delightfully large veranda forms the central point for entertaining or for simply relaxing with friends and family. 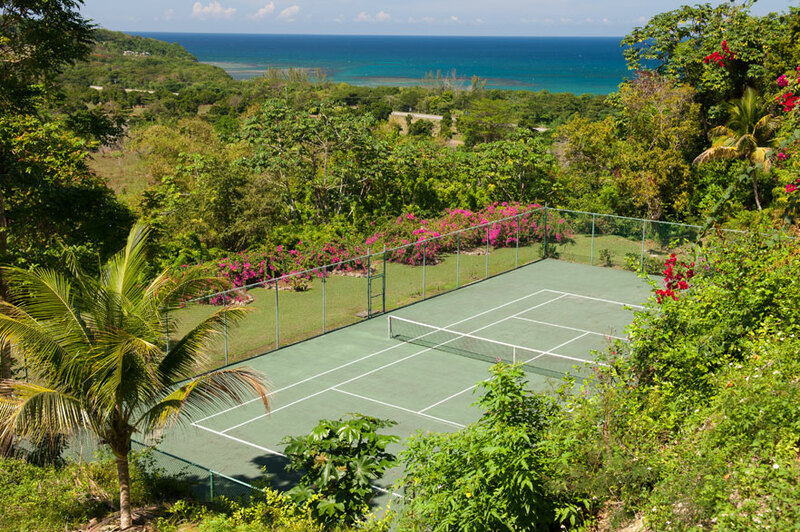 Tennis enthusiasts have a hard-surface tennis court available to them. The well-trained staff at Windsong Villa is dedicated towards making sure that the guests have a leisurely and private vacation. 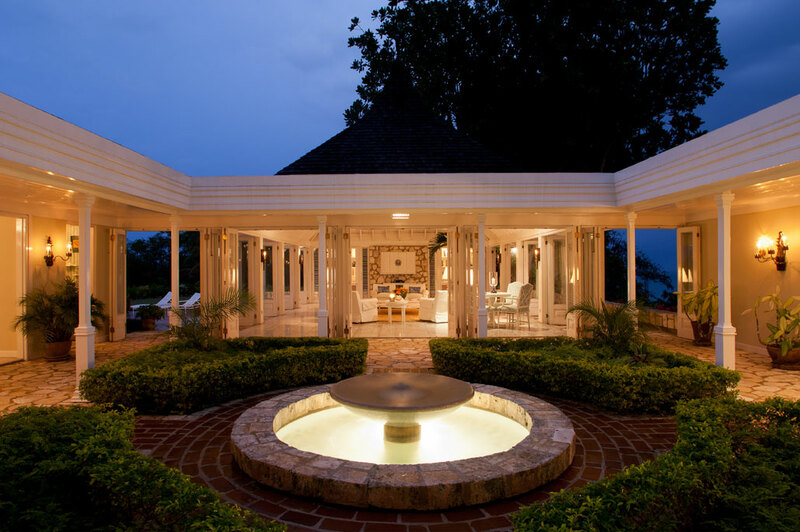 They work towards fulfilling the guests’ every wish and desire. 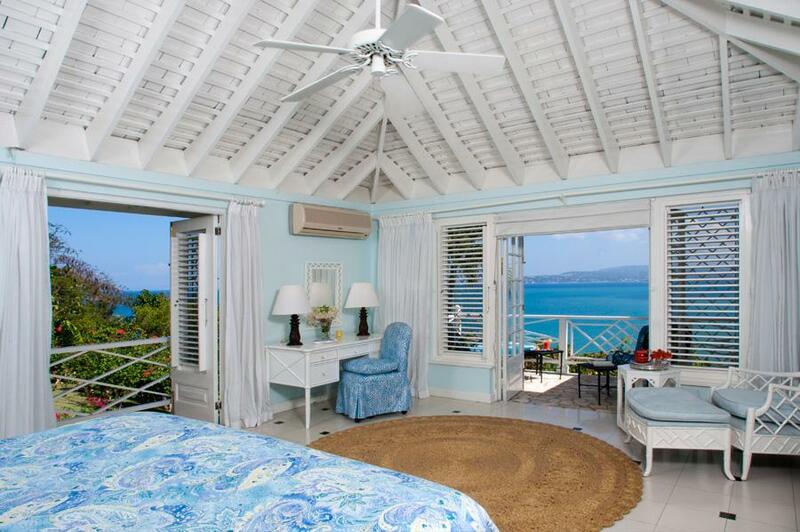 A holiday at the magical and tropical setting of Windsong Villa is indeed a fairy-tale experience. 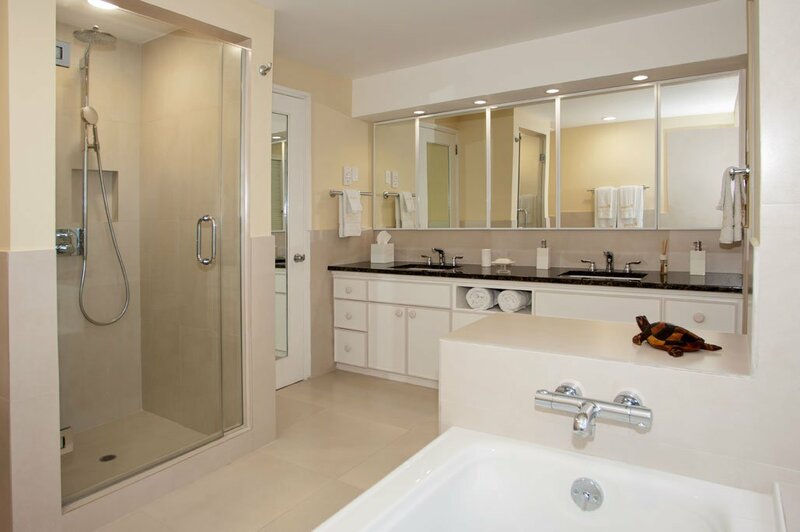 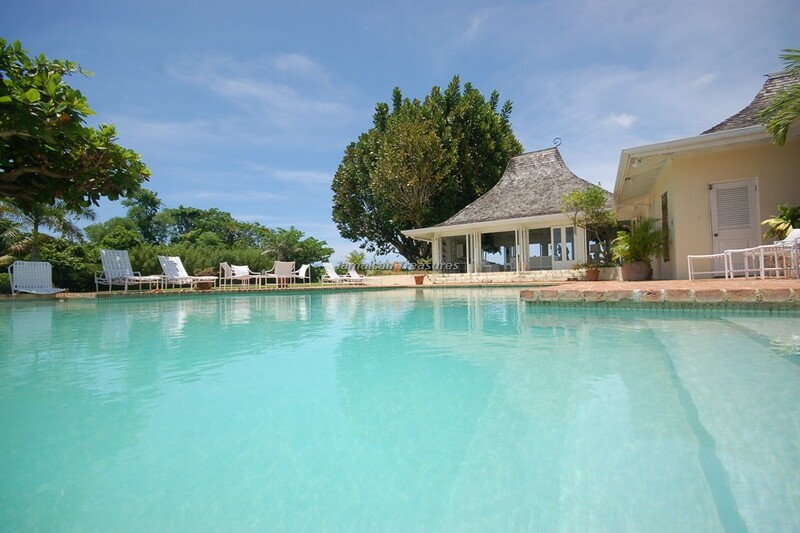 Being situated less than ten miles from Montego Bay; Windsong Villa is at a few minutes’ drive away from several private beaches, world-renowned golf courses, tennis facilities, water sports, restaurants and craft markets. 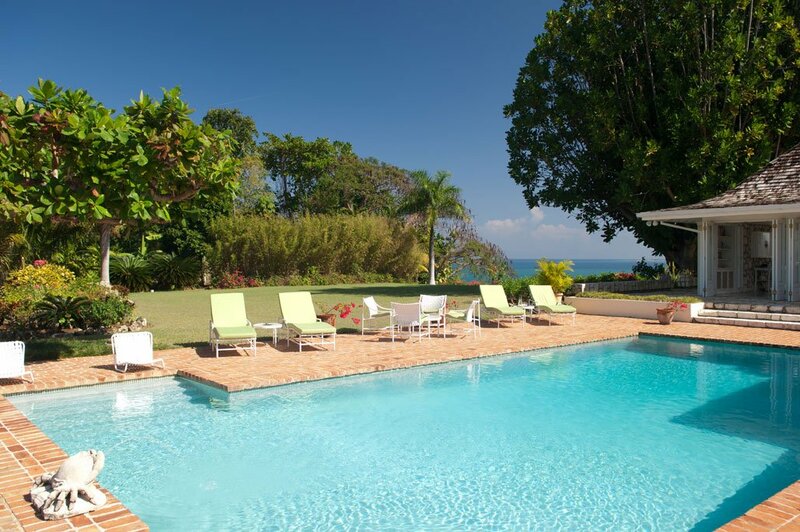 Guests at this villa rental in Jamaica enjoy complimentary membership at Round Hill Resort, which is only a few minutes’ drive away. 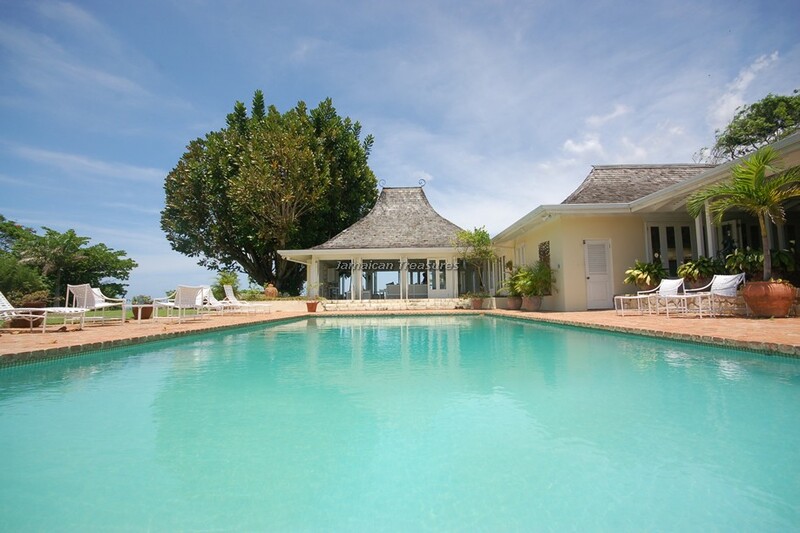 Windsong Villa is one of the most appropriate villas in Jamaica for large receptions and weddings. 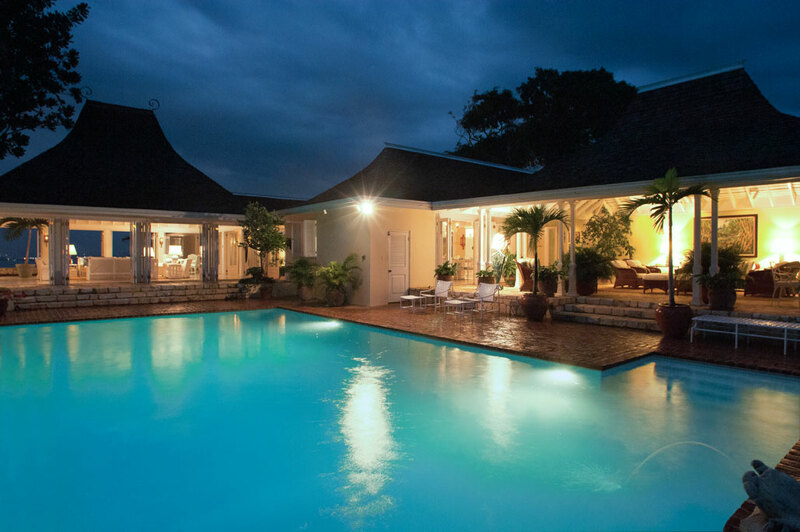 Hanover House and Goat Hill are neighboring villas. 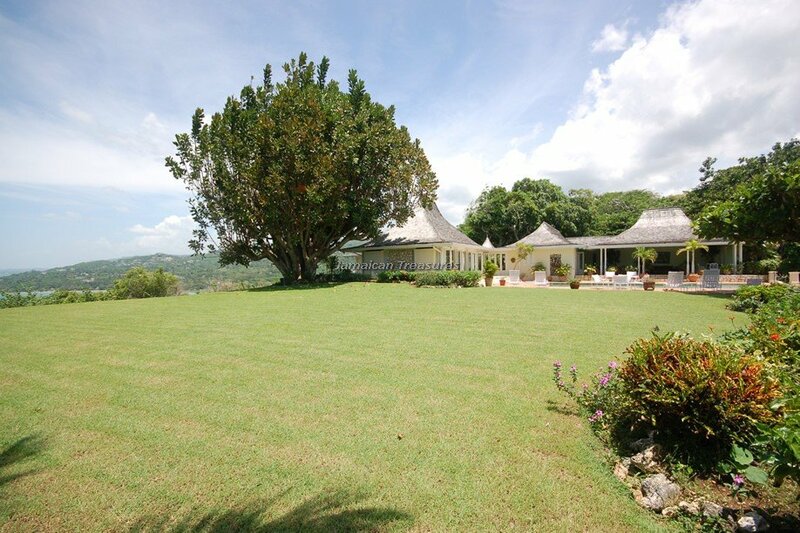 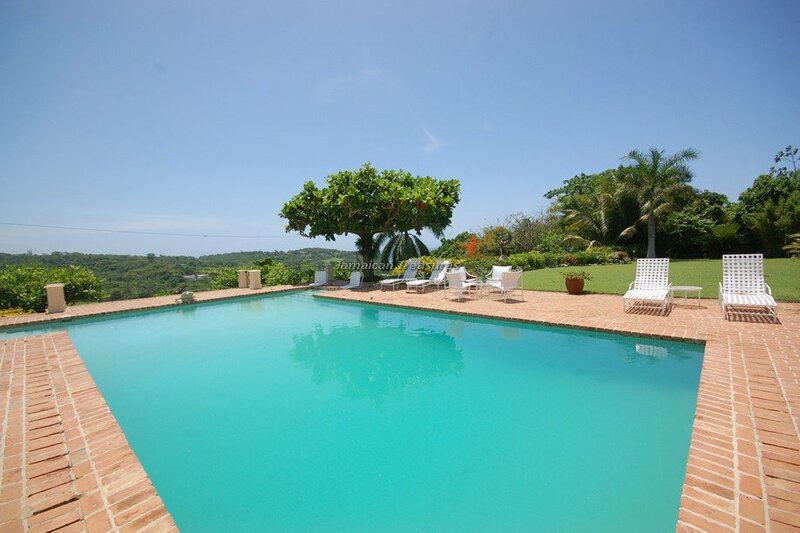 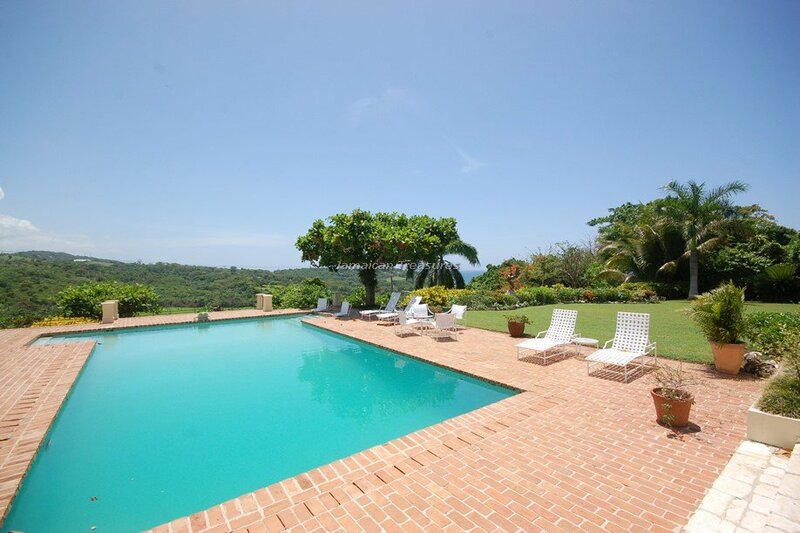 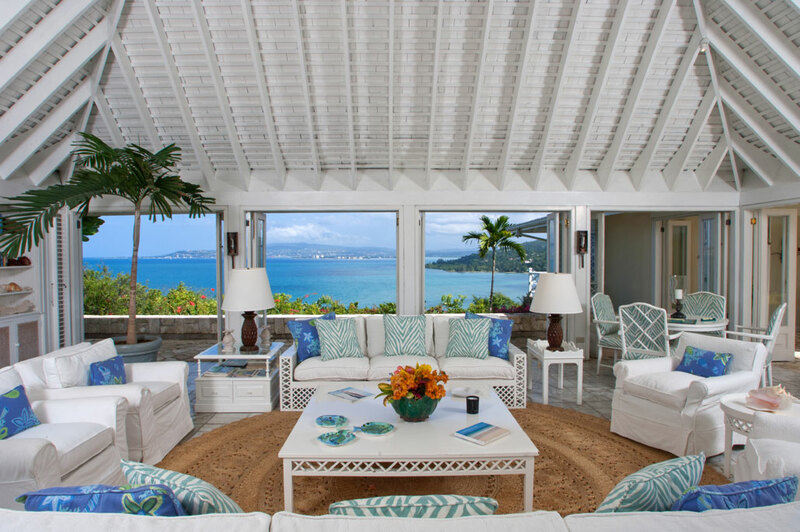 This villa is located less than ten miles from Montego Bay. 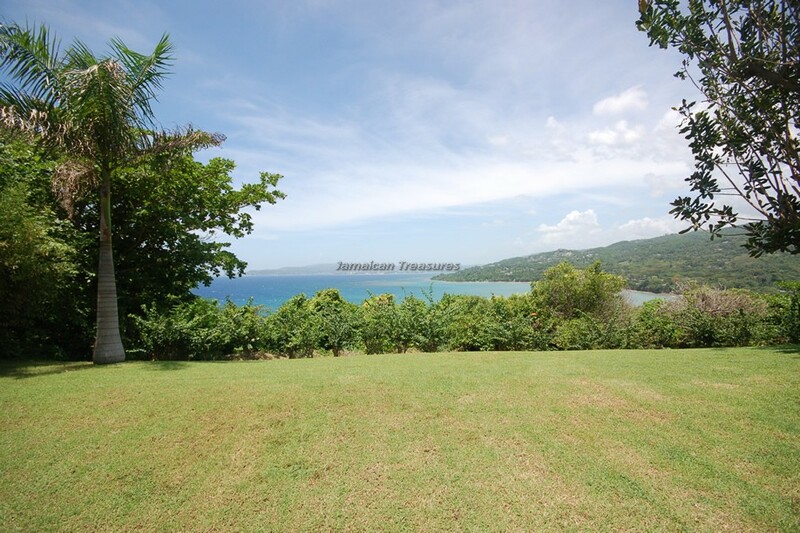 It is located minutes drive away from beaches, more than a few world class golf courses, and tennis facilities, restaurants, water sports and craft markets. 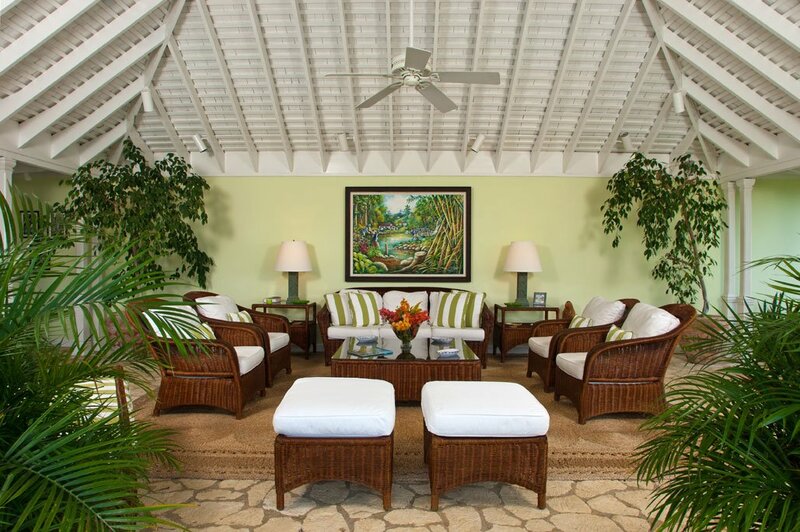 All guests can enjoy the first class resort facilities of the complimentary membership of the famous landmark, Round Hill which is only a few minutes drive from Windsong.